The Hang Gliding Spectacular and Air Games is a true example of what hang gliding is all about, fun! Originally named the 1st Annual Tactile Meet, the Spectacular has endured over 40 years of continuous years of fun flying, good times and the creation of life long friends. The competition is scheduled each year during the third week of May. 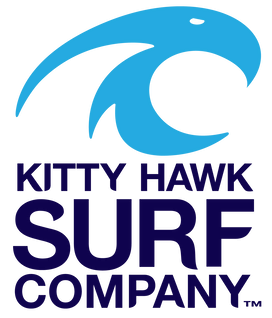 Over 60 competitors from all over will travel to Kitty Hawk Kites on the Outer Banks of coastal North Carolina to fly, party and meet old and new friends! The fun starts out with three days of dune competition where the pilots try to round pylons and spot land in the center of the target for points. If weather permits, there is also a duration contest. Pilots will often compete several inches off of the ground before setting up for the landing making the event very exciting. We guarantee you will see some interesting flights and landings! This event kicks off on Thursday and is a blast! The event usually includes a duration and altitude contest mixed in with a bean-bag bomb drop contest. The contest ends with a spot landing task which is always fun to watch! They do change the tasks according to the conditions which makes it fun for everyone! During the aero towing competition there will be seminars and hang glider demos. Another fun event is the Woody Jones Memorial Street Dance. Here everyone gathers outside of Kitty Hawk Kites main store in Nags Head for a fun night of laughing and dancing with the band. This is truly a historical event that shouldn’t be missed. 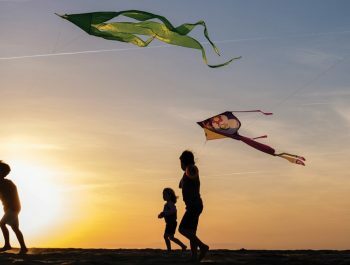 The annual Instructor Reunion is a time when instructors who have taught hang gliding at Kitty Hawk Kites can spend several hours talking about the old days while enjoying refreshments and snacks. It is a great time and you won’t believe the stories that people remember! 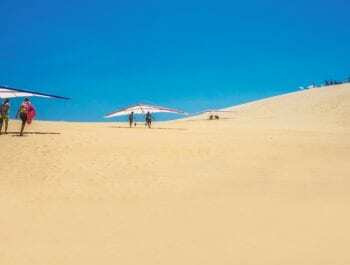 So If you have been an instructor that taught hang gliding at Kitty Hawk Kites this is your opportunity to comeback and relive the old days.